The Uxorious-9 shared prong band is a perfect complement to most of our solitaire rings as well as an anniversary band. We make these in almost any carat weight and can special order in the size you prefer. 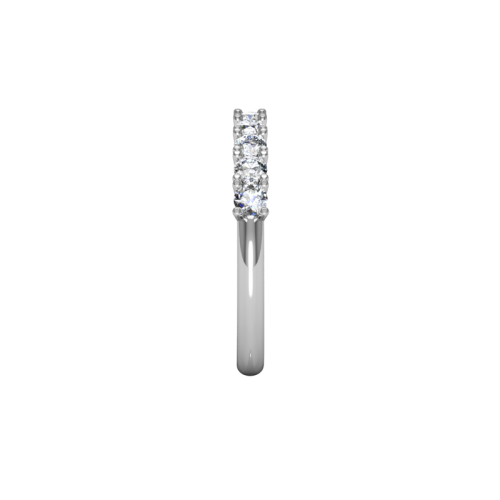 This design features our comfort fit shank made in 14kt white gold alloyed with palladium, which gives the best of both metals in our opinion. 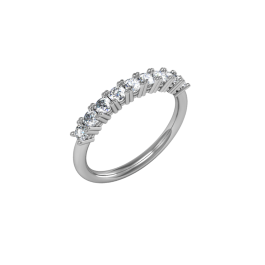 You will never have to have the ring "dipped" back to white because the palladium holds its color, just like platinum, its sister metal. All the seven diamonds are perfectly matched passion fire with a total weight of .50carats. 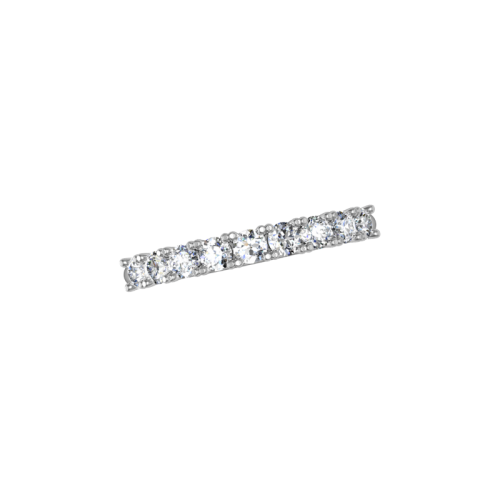 Each diamond is .06 carats and 2.5 mm in diameter, G-H color and SI-1 average clarity while the shank is about 2mm. We build each one to order, so please allow 12 working days to complete.